A proper swimming pool design can be challenging in many ways. To ensure full human comfort, proper disinfectant distribution, removal of pollutants and homogeneous temperature distribution, a swimming pool CFD analysis is the most cost-effective and accurate way. By analyzing the flow field in a pool you can decrease costs of building and operating a swimming pool facility and equipment. Besides analyzing the pool, CFD Freelancing offers calculations on the pumps, inlet vents, drains and duct-work designs. Fluid flow analysis of the ductwork, pumps and fittings. 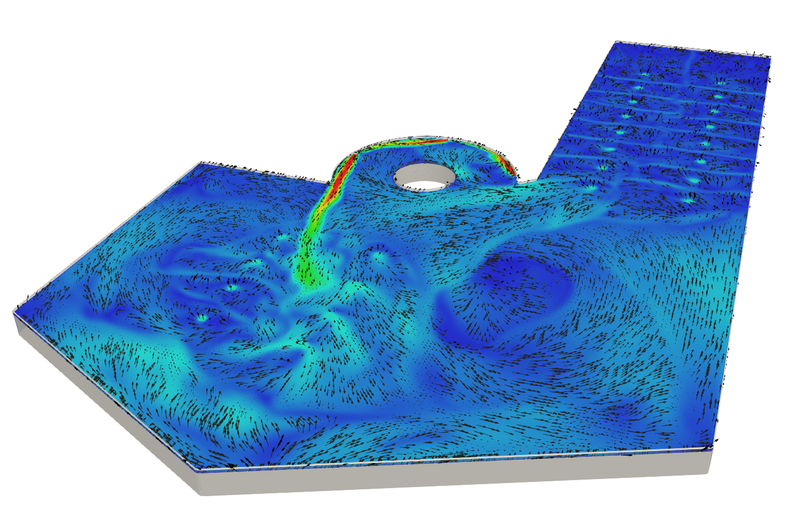 You can read about what CFD is and how I can help your with fluid dynamics related problems in swimming pool design here. Contact us for more details on swimming pool CFD calculations!